Integrate your data, configure integration flows and build APIs using the Designer experience. Enterprise tooling helps you build and deploy powerful integrations to expose data in enterprise systems. Connect on-premises and cloud-based systems, using the IBM App Connect secure connector. Use the intuitive mapper to make sense of mismatched data formats. See how the award-winning Designer experience makes it easy to configure integration flows that move data in batches or record by record. You don’t have to be an expert to create exemplary APIs. Comprehensive support for building APIs across the IBM App Connect experience ensures all of the flows you create in IBM App Connect can be exposed as REST APIs — either directly or using the model-based API builder. Need Open Data Protocol (OData)? IBM supports that, too. Find out more and follow the tutorial to try for yourself. 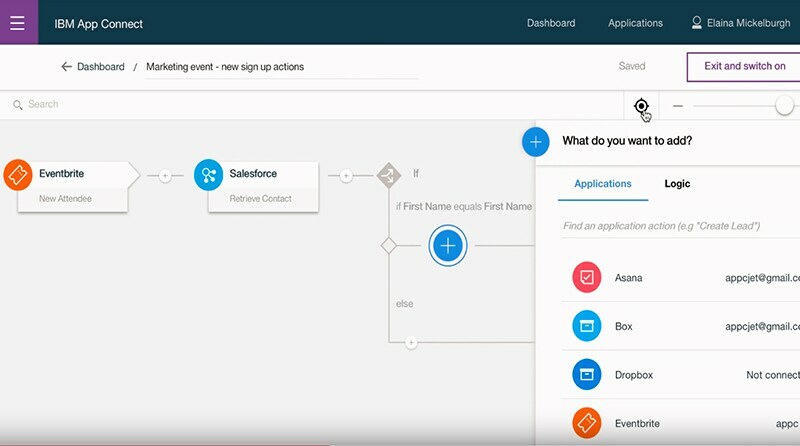 Build integration flows that react to new events in real time. Quickly connect to applications that support event-driven architecture or use polling to connect to those that don’t. 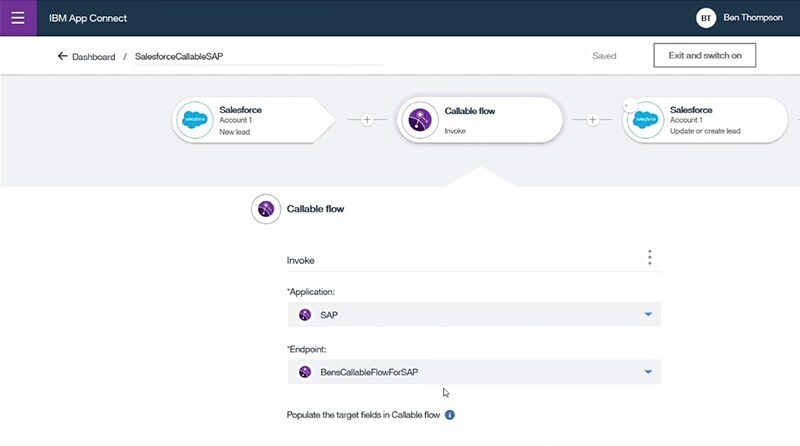 Once connected, configure integration flows that automate tasks and apply conditional logic to automate decisions. Now that you’ve seen the Designer experience in action, try the interactive demo. 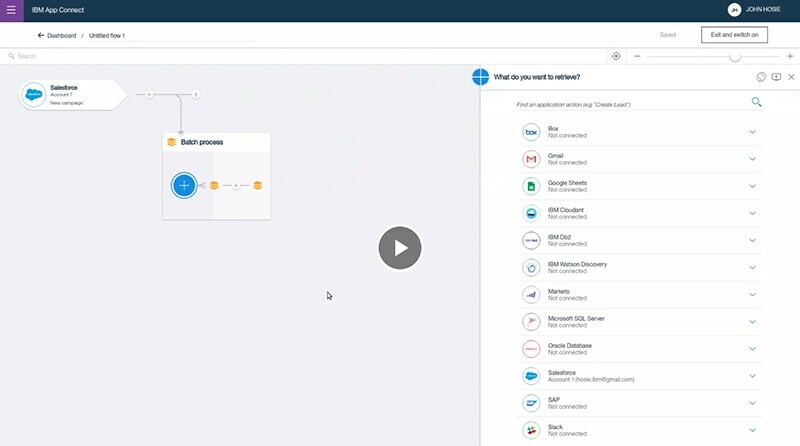 You’ll be able to create an event-driven flow using IBM App Connect on IBM Cloud; expose and share your flow as a managed API, ready to use; then, test and validate the API. Follow the tutorial while running the trial (20 –30 minutes). You’re now ready to try IBM App Connect. Use the tutorial while running an IBM App Connect trial. Add training data to the IBM Watson® Natural Language Classifier Service; create an event-driven flow; then, test the flow. You’ve put the Designer experience to the test, but may have a deeper set of requirements. For power users, the IBM App Connect toolkit provides the broadest set of capabilities to build enterprise-grade integration flows that handle the full mapping, transformation and enrichment of data exposed from complex back-end systems. Download the developer’s toolkit to get started. You’ll be able to explore guided tutorials; import test data or use the built-in test client to auto-generate test data; and explore all the functionality for free and, if you choose, upgrade and migrate your existing installations quickly with no reinstall required. 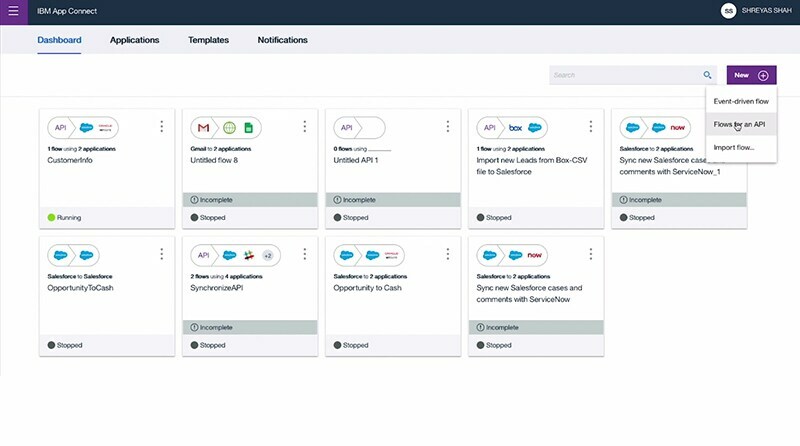 Using the IBM App Connect toolkit with the Designer experience provides a range of benefits from cloud-bursting to greater cross-team collaboration. For the first time, you can bring together your IT teams, using powerful tooling to expose data from core business systems, while developers use configuration-based tooling to quickly build integrations for line-of-business teams. Connect with the IBM Integration community and tap into a world of hybrid integration solutions like IBM App Connect.